The Japanese word “tsutaeru” means to communicate, to convey, or to get something across to someone, and that is just what Mutsumi Micro sets out to do. The company, based in Yamaguchi Prefecture, has been serving Koto Ward since opening its Tokyo office in 1972. 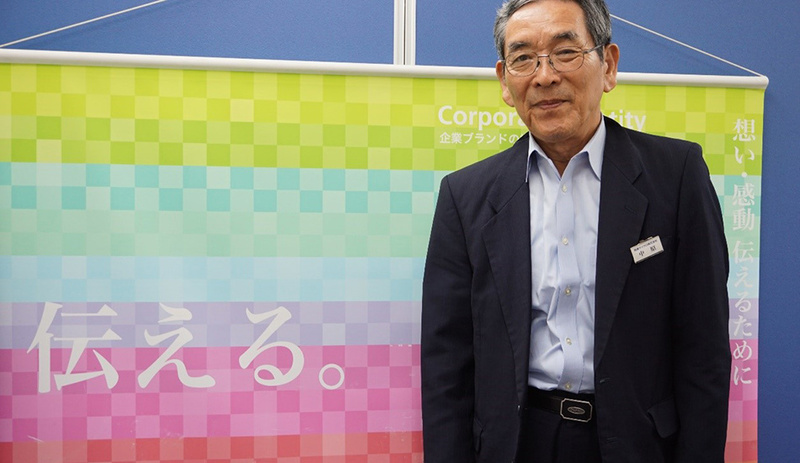 Mr. Michio Nakahara, Senior Manager, was transferred to Tokyo in 1989 and has worked in the city ever since. As an amateur historian, he is happy to chat about the history of the company and Koto Ward. He explained to me that the company offers a full range of printing-related services, including brochures, pamphlets, maps, guides, and large format public information signs. Additionally, it provides website design and undertakes “on demand printing” of hardcopy books. Mutsumi Micro initially focused on corporate customers, but over the years has switched to the public sector, servicing local government departments, schools, disaster prevention organisations, and alumni associations. The Toyo office has a staff of five who are all multi-skilled workers, adept at delivering a project from start to finish. They see through the process, beginning with sales, through the initial planning and pricing stages, to designing, and finally printing, which is carried out at the company’s Yamaguchi Prefecture factory. They will also arrange for translation when requested. When I remarked on the compact size of the office, Mr. Nakahara said, “In the age of the computer you don’t need factory space in Tokyo”. 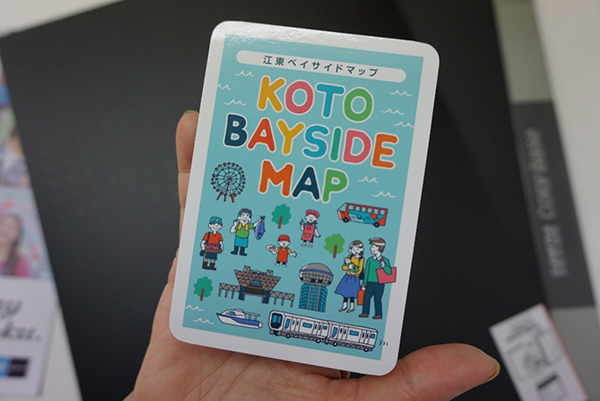 As an example of his office’s work, Mr. Nakahara proudly handed me a map of Koto Bayside area, made for the Koto Ward Tourism Association. It shows the new Toyosu wholesale fish and vegetable markets, and the locations of nine sites connected with the 2020 Tokyo Olympic and Paralympic Games. Mutsumi Micro was responsible for the map’s design, utilising the unique Miura map fold; a special technique for folding flat sheets simply and speedily into compact sizes. 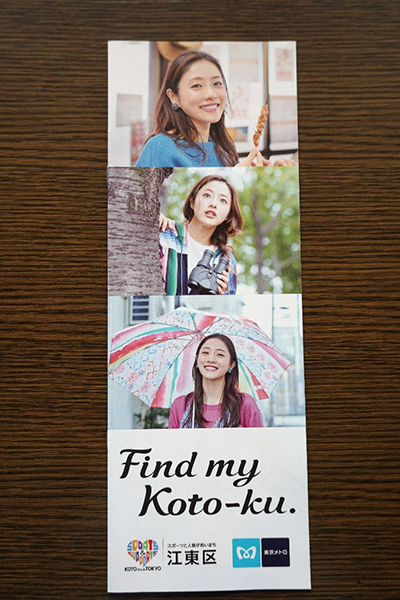 Mr. Nakahara then showed me a pamphlet titled “Find my Koto-ku”, featuring a popular actress, Satomi Ishihara. This is linked to the Tokyo Metro “Find my Tokyo” campaign, aimed at getting people onto the city’s underground trains, and visiting different parts of the metropolis. 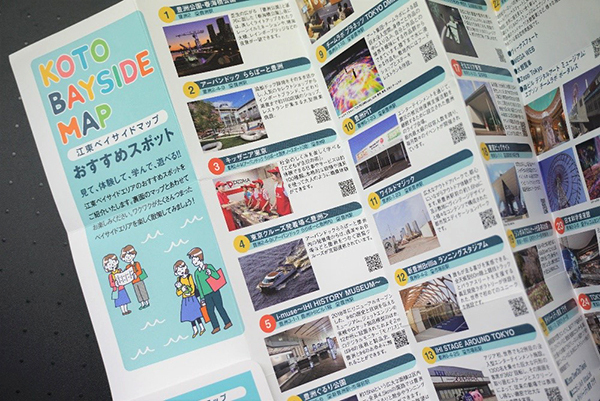 The pamphlet is specifically aimed at encouraging people to visit selected attractions in Koto Ward. 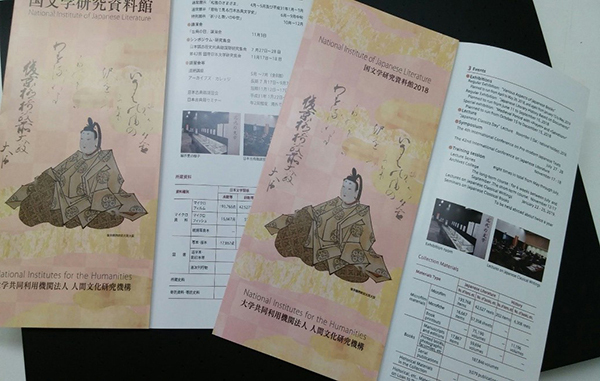 Mutsumi Micro was tasked with designing and printing this attractive and handy leaflet. 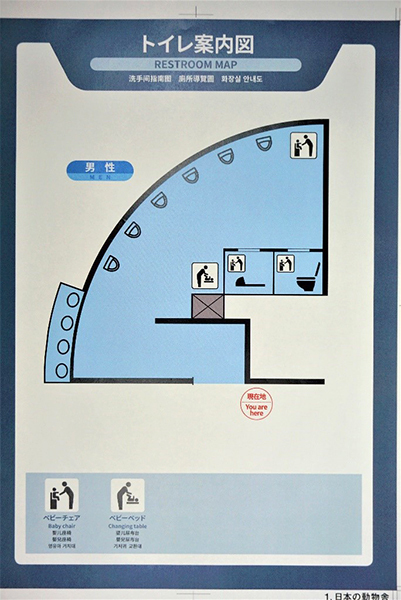 Branching out, Mutsumi Micro designs and prints public information posters, such as the various public restroom signs that dot Ueno Zoo. These large adhesive signs display information in Japanese, English, Chinese, Taiwanese and Korean, reflecting the range of languages spoken by the visitors to this popular spot in Tokyo. 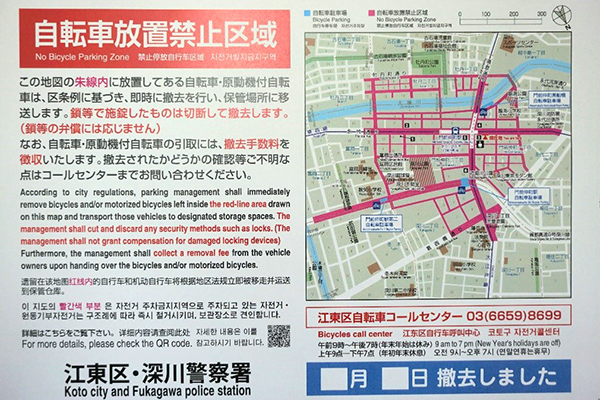 And if you have ever wondered who was responsible for designing and printing those notices “beloved” by cyclists, warning against illegal bicycle parking at Koto Ward’s railway stations – you’ve guessed it! The adhesive sign below covers the area around Monzen-nakacho Station and is part of a campaign to encourage people to use designated bicycle parks rather than to clutter the pavements with their bicycles. According to Mr. Nakahara, “In this age of digital sign boards, with their ever-changing messages, they tend to be ignored. However, these are notice boards whose screens don’t change”. Something which epitomises the company’s link with Koto Ward, is the large number of disaster prevention brochures and pamphlets that Mutsumi Micro has designed and produced for numerous neighbourhoods, schools, and tenant associations of individual residential tower blocks. These essential guides detail which preparations to take prior to an earthquake, and what to do should one occur. 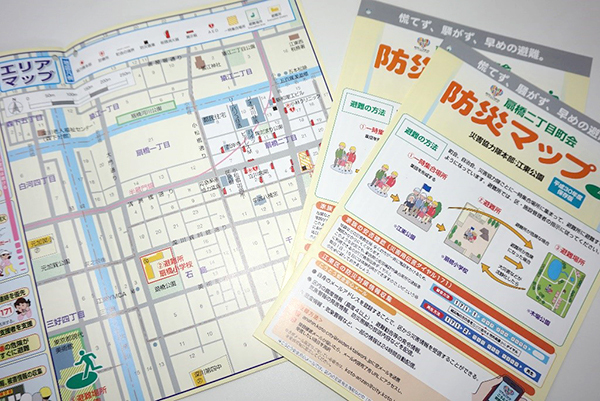 They also contain maps showing the locations of evacuation areas, public telephones, street-located fire extinguishers; and other important information. 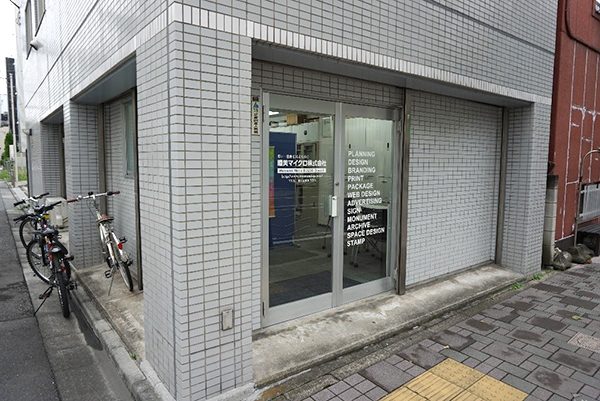 The example below is one which was prepared for Ogibashi 2-Chome Neighbourhood Association. 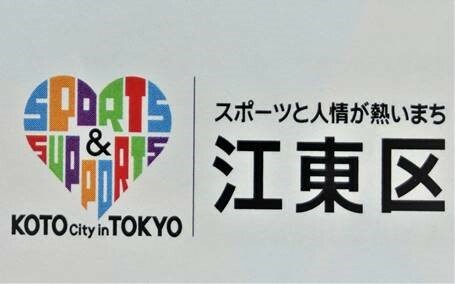 And I am sure that if you have visited one of the Koto Ward public facilities, you will have seen the “Sports & Supports” motif which appears both inside and outside the buildings. 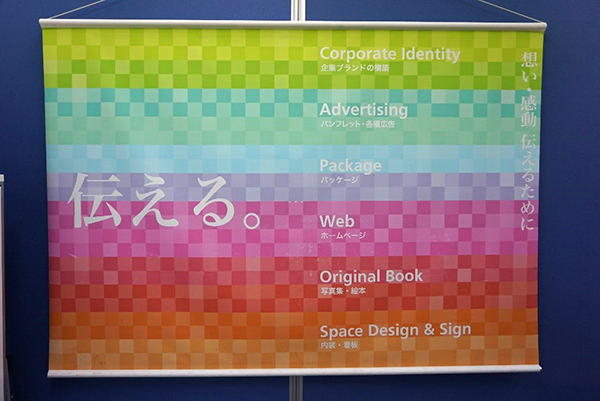 Using a printing technique which employs aluminium and vinyl chloride sheets, Mutsumi Micro has printed these large adhesive posters adorning public buildings across Koto Ward. Keep a look out for them.